The Battle of Verrières Ridge was a series of engagements fought as part of the Battle of Normandy, in western France, during the Second World War. 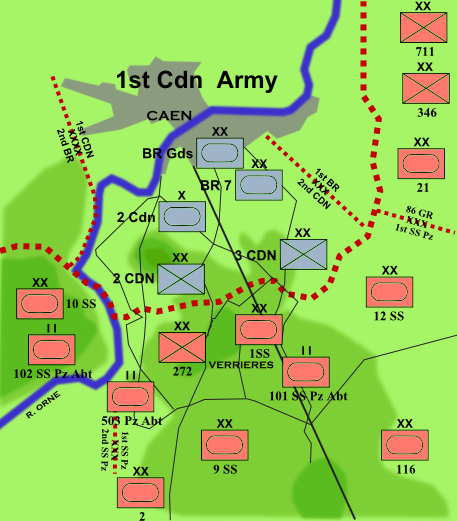 The main combatants were two Canadian infantry divisions, with additional support from the 2nd Canadian Armoured Brigade, against elements of three German SS Panzer divisions. 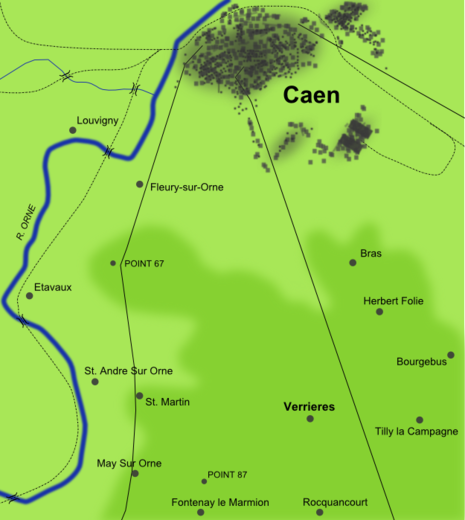 The battle was part of the British and Canadian attempts to break out of Caen, and took place from July 19 – July 25, 1944, being part of both Operation Atlantic (July 18 – July 21) and Operation Spring (July 25 – July 27). The immediate Allied objective was Verrières Ridge, a belt of high ground which dominates the route from Caen to Falaise. 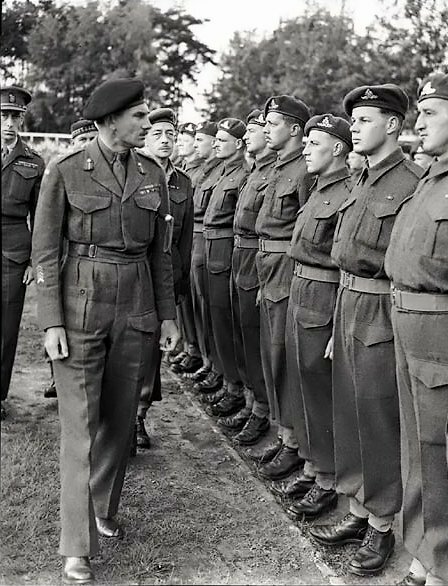 The ridge was invested by battle-hardened German veterans, who had fallen back from Caen and entrenched to form a strong defensive position. 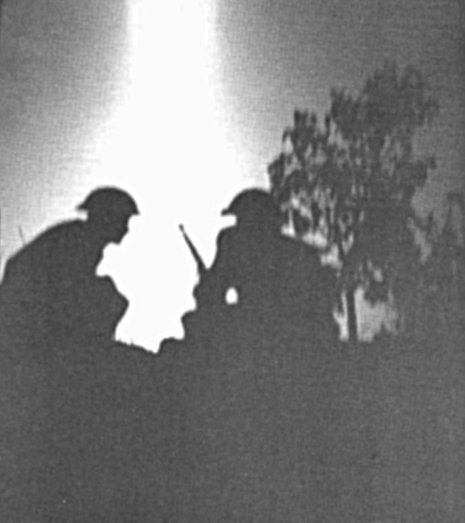 Over the course of six days, substantial Canadian and British forces made repeated attempts to capture the ridge. Strict German adherence to defensive doctrine, as well as strong and effective counterattacks by Panzer formations, resulted in heavy Allied casualties for little strategic gain. A name indelibly etched into the memories of the men of 2nd Canadian Infantry Division who took part in the fierce battle, code-named 'Atlantic', which swept back and forth across the ridge and in the villages of St. Andre sur Orne, Verrieres, St. Martin de Fontenay and Ifs, between July 19 to the 21st, 1944. In these three days, every battalion committed in the battle suffered horrendous casualties in this, their first major action of the invasion. The Essex Scottish alone sustained 244 casualties, 37 of them fatal.